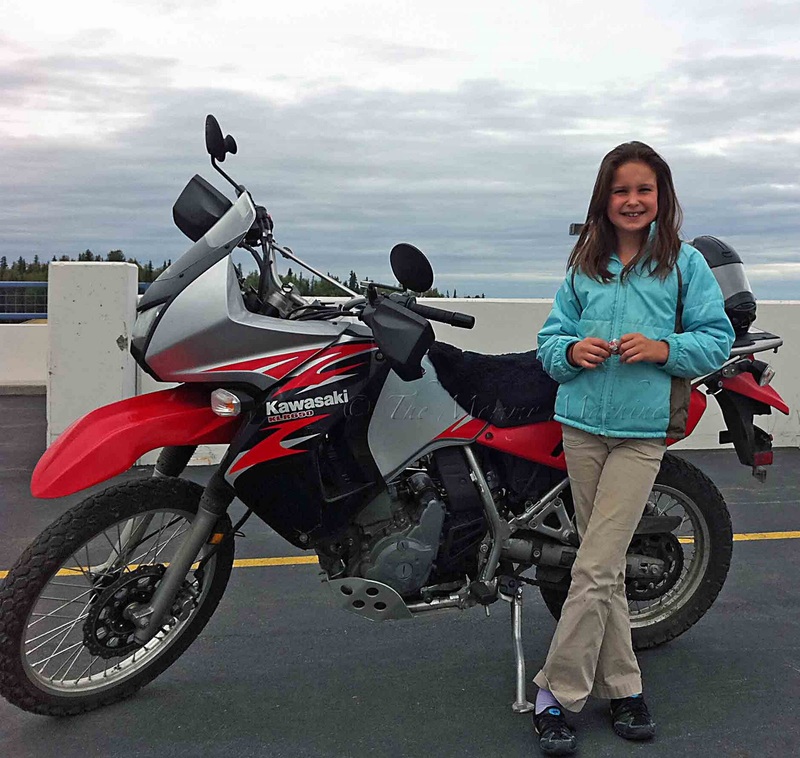 Alaskim | Surviving Wildlife, Wildflowers & Wild-Haired Children: Speaking of Tomboys . . .
Very,very cool but yep...I'd be praying too! When I told my mom I want to learn to ride a motorcycle, she pretended to go deaf. I still haven't been on one, but when I finally do, I'm not telling her about it until AFTER the fact. We have a no-motorcycle policy. Which I'm sure we'll keep clear up until my husband decides he wants one. So awesome. I can totally project her out 10 years from that photo.